Here is a professional looking free UI Kit containing some of very useful web components. like web buttons, side widgets, slider option buttons, radio and check boxes, drop downs and some tool tips too. 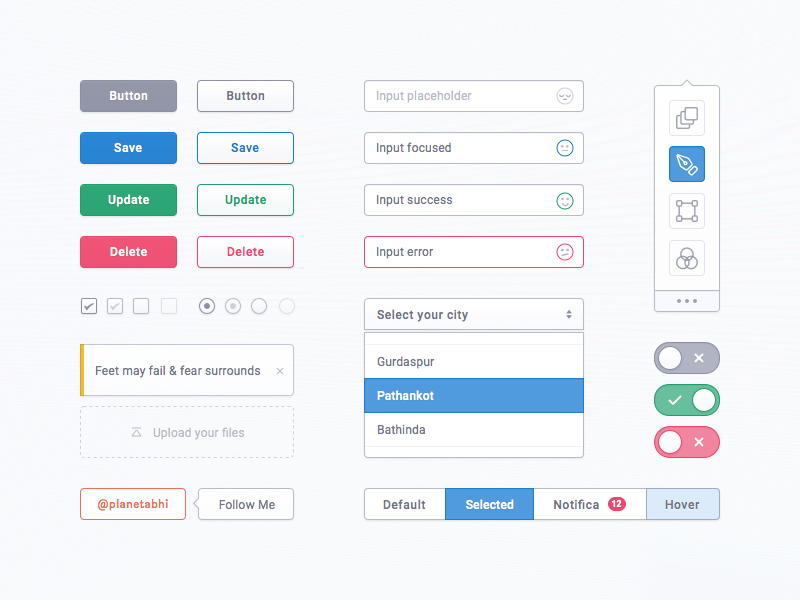 All in all this is pretty useful UI kit designed by Abhimanyu Rana. The UI kit is available in Sketch format for you to download and use.